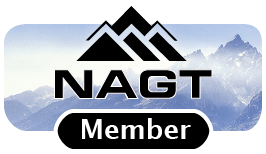 This website is for anyone interested in exploring the physical properties of Earth materials, or who would like to study relationships of deep Earth processes to phenomena that occur on the Earth's surface. Applications can be found throughout the geoscience curriculum in diverse fields such as mineralogy, petrology, structural geology, geophysics, seismology, and environmental geochemistry. 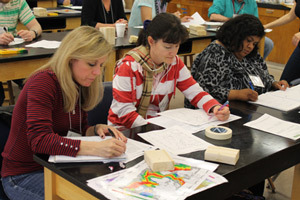 Although the primary audience is undergraduate geoscience students, there are also topics covered that will be of interest in middle and high school geoscience classes, and for the interested public. 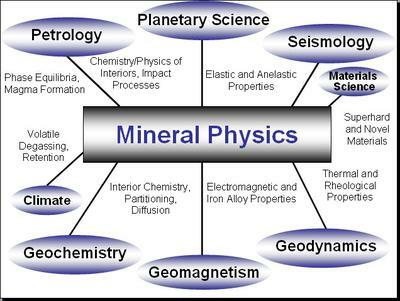 Mineral physics is the science of materials that compose the Earth and other planets. Mineral physicists do not always study minerals or use only physics; they employ the principles and techniques from chemistry, physics, materials science and biology to address mineralogical problems and processes within planetary interiors. 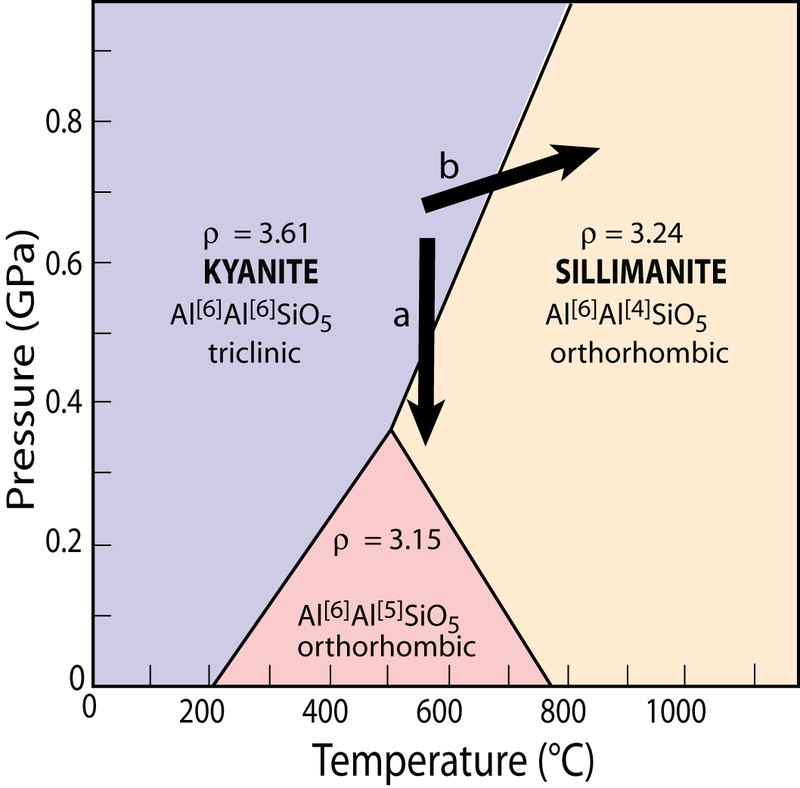 Research in mineral physics is essential in interpreting observational data from many of the disciplines in the Earth sciences, including geodynamics, seismology, geochemistry, petrology, geomagnetism, and planetary science, as well as materials science and even climate studies, as illustrated in the figure on the right (click on the image to see a larger version). Release of gases from the Earth's interior into the atmosphere. 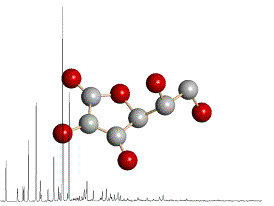 See Wikipedia: List of materials properties for a list of properties than may be of interest. From the On the Cutting Edge Teaching Mineralogy, Petrology and Geochemistry collections. Sodium: Stony Brook's Artem Oganov Explains Discoveries - This 16-minute Youtube video explains how sodium changes its properties under pressure. Stony Brook's Oganov on New Superhard Phase of Boron – This 8-minute YouTube video explains the discovery of a new superhard phase of boron, a major advance described in Nature. Led by Oganov, a research team has discovered a new phase that shows charge transfer from the B2 to the B12 clusters, which thus play the same roles as cations and anions in normal ionic salts. 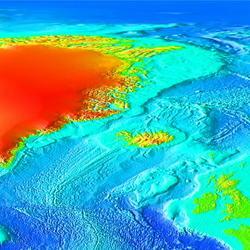 Hot Spot Lesson--Mantle Plumes -- from the ERESE project. 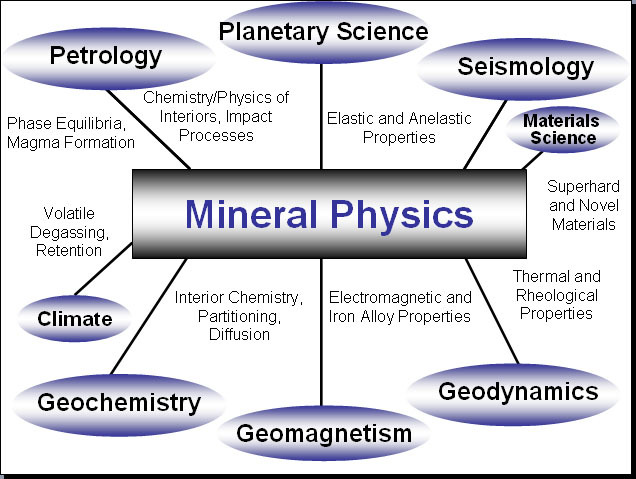 There are a number of instructional modules for teaching about Mineral Physics, developed with the support of COMPRES, the Consortium for Materials Properties Research in Earth Sciences. These modules address a variety of instrumentation, topics, and techniques. What is it, and why is it important? 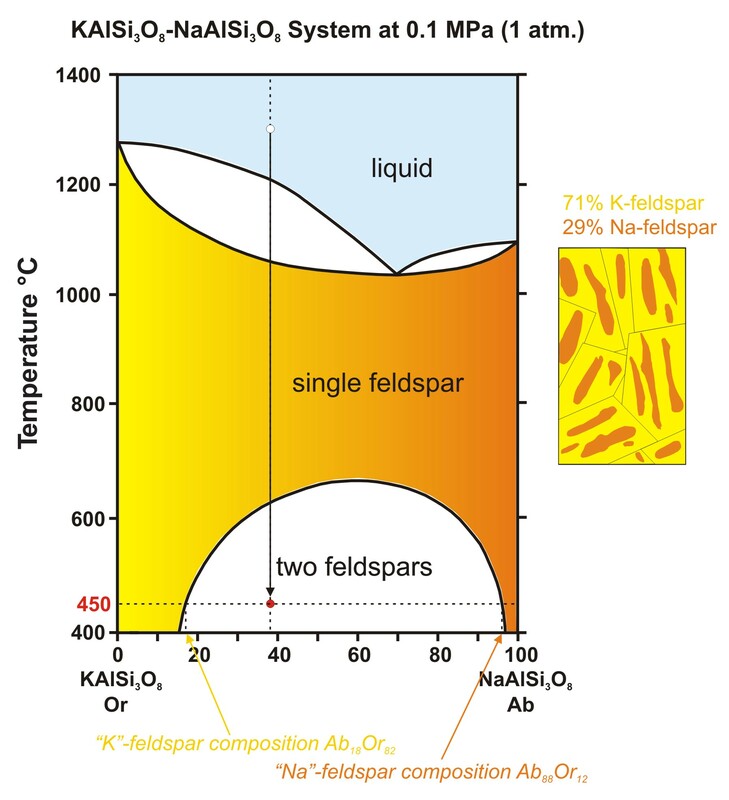 The bulk modulus (K) of a substance is a quantification of its resistance to uniform compression. 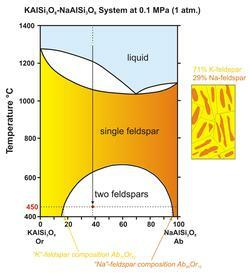 It can be defined as the change in pressure necessary to cause a specified relative change in volume. 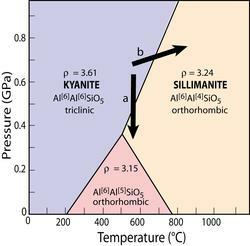 What are the really "hot topics" emerging in the field of mineral physics? What is the importance and implications of discovery of post-perovskite on the structure of mantle, coupling with outer core and relation to Earth's magnetic field, electrical conductivity? We would like to encourage development of teaching activities that derive from the primary scientific literature, and demonstrate how data and data products are used to replicate or simulate authentic research results. We are interested in expanding our resource collection in the following areas. If you have a teaching activity, website, article, or course syllabus related to any of these topics, please contribute it using a form on the Mineralogy contribute a resource page. Contribute a teaching activity: problem sets, laboratory exercises, etc. Contribute a URL: links to URLS that contain useful information such as related webpages (e.g. 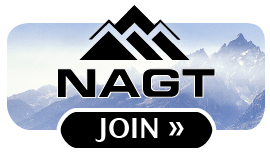 facilities, government agencies, faculty course we bpages), PowerPoints, tutorials, etc. Developed as a collaboration between the On the Cutting Edge geoscience faculty professional development program (NSF DUE 06-18482) and the COMPRES program (NSF EAR 06-49658). Image courtesy Minnesota Supercomputing Institute.